I’m faced with a dilemma. It has now been 27 days since my last blog post. It’s been 26 days since my son Sam’s life (and ours) was changed forever. The dust is starting to settle on our latest and scariest family adventure and I feel compelled to get back to the business of coaching, evolving and contemplating. Well, honestly, I never really leave all that even in times of stress – if anything it’s when I rely on those processes the most. But, all that work has been going on behind the scenes of what has been a major, giant, life-altering shift in our family. Now I have to decide where all of it fits in my professional life as a coach. Interestingly, I think the answer lies in one of the things I love most about life coaching. When you’re a coach, you don’t hide the messy parts of your life. You don’t separate the personal and the professional as much as you are required to do in a lot of other work (say, traditional therapy). Your work with your clients is absolutely not about you, as the coach, but it’s also not about painting your own work, your own journey, as completely separate from the lives of those around you – even your clients. Coaching honors and values a high degree of interpersonal connection. This can be felt in the ways in which coaching focuses on the use of intuition as a guide for the coach and coachee. It can also be seen in the way in which finding the right coach/client connection is largely based on the right “feel” or seeking out the “type” of clients a coach most feels energized to work with. So, in an effort to be true to myself, my work, and the relationships I will likely build with people over the course of my coaching journey, I would like to share here Sam’s story. Our story. 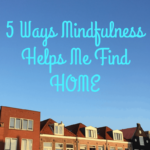 I envision that over time and in certain instances I will share our experiences in ways that may provide guidance for people facing similar challenges – in much the same way my previous blog posts have focused on the expat life, transitions and building a home abroad. On January, 19th, our five-year-old Sam was diagnosed with Type I Diabetes. The three-and-half weeks since have taken us to 3 hospitals, 3 countries, countless exhausted, worried hours and now, back home…our real home, Austin, TX. Sometimes we can look at life and see a very clear delineation of before and after. The clear moment where something was one way and then, suddenly, it was another. Looking back over the events of the past 26 days I can’t help but feel the simultaneous weight and clarity of seeing this before and after. Here are the very, pinpoint, exact moments that I remember in the week leading up to Sam’s diagnosis. On Sunday, January 12th, we joined a great big crowd of some of our closest friends for brunch at Tana’s Café de le Gare. There were 10 adults and 14 children. It was wonderful, summer-weather madness. We ate and talked and played games, but oddly Sam didn’t seem himself. He was eating a lot, but seemed tired. While the other kids played, he fell asleep in his dad’s lap. A bit strange, but not huge. Maybe he’s a little under the weather? It is Tana after all – seems like everyone is always a bit sick. By Tuesday he still didn’t seem like himself. He had a bit of a cough, but no fever, diarrhea or vomiting. He had vague complaints of a stomachache, but he would say something about it then go off to play. I noticed he looked a bit thinner. He said his muscles hurt. I went for a walk with a friend and asked her what she thought of it. She thought maybe he was growing. I agreed, but wondered if he should have blood work done. These mismatched and random seeming symptoms continued throughout the week. One day he said he felt sick and began to cry – the teacher called us to come pick him up. He just didn’t seem like himself. His teacher agreed. But then he would go off and play. Could it be some virus he’s just having trouble shaking? Something didn’t seem right, but none of us could put our finger on exactly what it was. Saturday he rested most of the day. I felt more worried about what was starting to seem like pretty significant weight loss…even in just two days. When I was making the kids’ dinner that night, he was raiding the fridge, eating and eating. When I told him to stop, that I was about to give him some Mac-n-Cheese, he started to cry. My husband and I went out to dinner with friends and we all discussed what was going on. The consensus was something like tapeworm. Yes, we thought, definitely worms…or a parasite. However, Sunday morning he woke up and it was clear his breathing was labored and his mouth was so dry he couldn’t drink enough water. He was also going through tons and tons of milk. Drinking thermos after thermos. We willed ourselves to wait until 8:00AM to call the medical officer. We didn’t want to wake him up. But, we were really freaked out. And scared. The medical officer came over around 10:00. I think he diagnosed him within seconds, although he said it was just a possibility. He’d need to test his blood and urine. Waiting for the med officer to call us back seemed like an eternity. When he did call we knew what he was going to say – Sam’s blood glucose level and the ketones in his urine were very high. Here’s something I’ll never forget – Sam dozing in and out on the couch. Me trying to eat a few bites of a black bean taco knowing that we were headed to the hospital and might be there a few hours or even over night. The rain outside. I packed a bag for us – I didn’t forget my Kindle, which in retrospect seems absurd because there was no chance that I was going to be reading. We got in the car. We’ve never been back. Type I Diabetes (previously called Juvenile Diabetes because it is usually diagnosed in childhood) is an autoimmune disorder (unlike Type II Diabetes which is a metabolic disorder). Basically, the body gets a virus. Antibodies designed to fight off the virus, get confused and attack the insulin producing cells in the pancreas (bad thing #1). Insulin’s job is to help glucose in the blood reach the cells so that the cells can produce the energy you need to live. When glucose can’t get reach the cells then it builds up in the blood (bad thing #2). Then the body starts looking for other sources of glucose and pulls it from places like the liver (bad thing #4). It also starts burning fat (bad thing #5). When the body burns fat the byproduct is ketones. When ketones build up in the urine that’s bad news. Type I Diabetes is, quite simply, really bad luck. There’s no cure. Type I Diabetics will take insulin for the entirety of their lives. If you want more details, you can read more about it here. In short, it’s some pretty scary, scary stuff. Things went from strange to really bad over the course of about 12 hours. All the random things in the week leading up to his diagnosis seemed minor. From Saturday evening until Sunday morning, nothing seemed minor at all. So, we found ourselves on Sunday night at the hospital. Me, the Embassy med officer and Sam. From the very first seconds of this experience Sam was the most amazing, brave and calm trooper. The whole thing was so scary, but (thankfully) he’s never been afraid of needles. I don’t think he ever cried more than a few tears. I, on the other hand, was quite a mess those first few hours. It took all of my strength to hold it together. I knew right away that Sam and I would need to leave Madagascar, but the most upsetting thing was that the care he was getting was so inadequate while we were there. One of the first things that must be done to reverse DKA is to give IV fluids. Sam waited in the ER for 4 hours before they agreed to give him fluids. It was a nightmare, frankly. Thankfully, our med officer remained calm. This helped because I was never totally sure about what should be done, not done and what steps we should expect next. In the end, we waited 18 hours before the air ambulance arrived from South Africa. Words cannot express the relief I felt when the nurse and doctor walk into our room. They carried, in two backpacks, more proper medical equipment than the entire Polyclinique Ilafy (the best hospital in Tana) stocked in the entire hospital. And, despite being kind, the Polyclinique doctors, frankly, seemed to have no idea what they were talking about. I keep thinking back on things that were happening now that I’ve learned so much. But, I try not to think back on it too much. The pain of knowing what wasn’t being done is overwhelming…and yet, that time has passed, so I’m trying to remember not to replace my ignorance in those moments with new fears in hindsight. And so, Monday morning, Sam and I drove our last drive through Tana…our typical route from Ivandry (our neighborhood), past the boys’ school (I saw several friends dropping off their children in the early morning traffic. Sam and I blew kisses to his big brother), past our house (without stopping), past the Embassy (closed for the MLK holiday) and out to the airport. I hate tiny planes. I loved this one. My fears were starting to subside. The fear is all relative I guess. We weren’t out of the woods, but we were out of Tana…it was the next best thing. And, then of course, it was so sad to leave. I never loved Tana, but I LOVED our Tana life. The outpouring of love and support we have received through this event is not possible to capture in words…but, I’ll try. I think about it this way – you spend your life, if you do it right I think, focusing closer and closer, every passing year, on the things that matter. For each of us, it’s different. Maybe career matters most, or a nice house in the woods, or lots of time to play sports or music. For my husband and I, more than anything else we have worked to create a home life that is constantly surrounded by friends and family. And, because in the Foreign Service your friends are your family, you nurture those relationships as if your life depends on them. Sometimes you discover that your life, or at least your sanity, actually does. So when everything was up in the air, when we were running only on adrenaline and worry, we somehow found ourselves surrounded by an outpouring of love and prayers that we never imagined (or ever had to imagine) we would need. And in those first few days it was the key to survival. I actually felt the love and embrace of those around us. We were never alone. Sam and I, leaving Daddy, big brother and baby sister behind, landed in South Africa around 11:00 AM on Monday, January 20. Phase two began with an ambulance ride…a real, working and well-equipped ambulance this time…to the Little Company of Mary Hospital in Pretoria. It’s funny the things you remember in retrospect. I kept thinking the ambulance driver looked like Val Kilmer, then I decided he looked like Jim Morrison…then I realized that likely meant he just looked like Val Kilmer. Anyway, he did and he loudly sang romantic pop songs, refused to turn on the AC or roll down the windows and smacked his lips loudly while eating Cheetos. Random details forever burned in my brain. Sam rested in the back, enjoying the sirens through the red lights…despite feeling crappy, that medevac flight and the ambulance, were without a doubt the rides of his life. The air ambulance doctors got us checked in and then we were there. South Africa. Land of adequate healthcare. When you’re living in Madagascar, South Africa is one of those places everyone longs to go. Getting back to the US, or even to Europe, is such a long, long journey, but if you can make it to South Africa, shopping and eating and “normality” can be right at hand. In fact, in the weeks leading up to Sam’s diagnosis we had been planning a 10-day trip to Cape Town for early April. And, even as we arrived in the midst of a major, life-changing emergency there were still lots and lots of people who were encouraging us to take in the sights, eat some good food, enjoy the sense of order. I have to say, while we never really got to do much sightseeing, I did appreciate the sense of order from the very first minutes. As we were arriving at the hospital all I kept feeling was a huge sense of relief. It looked just like a regular American hospital. Every nurse and every doctor we saw actually seemed to know what he or she was doing. There was a normal cafeteria, gift shops, café, restaurant…everything. It’s amazing what it can feel like to just know that people are going to have, at a minimum, the basic skills to care for your child. We settled in quickly. I’ve never felt more tired in my entire life. Taking a shower and falling asleep that first night, knowing Sam was going to be fine and that they were taking good care of him was so comforting. He and I even found time to laugh over strange little things – like the other child Sam’s age who briefly shared our room, who would run over to Sam’s bed and chat away with him in Afrikaans (to Sam’s complete bafflement). Or, the fact that people mostly spoke our language, but not entirely. Words like “loo” and “wee” really sent Sam looking at me for guidance. And then there were the strange foods – like when I thought I was ordering French fries (chips), but ended up with some sort of deep-fried goat cheese thing with Thai chili sauce on the side. Things remained stressful, but it was like a level of humor and comfort set in amid the stress. We made some new FS friends and even got to catch-up with some old friends from Tana, now serving in South Africa. In Pretoria, we started learning more about Type I Diabetes. Sam immediately took to the process – he was excited to learn about giving his own injections and testing his blood sugar. He couldn’t wait to win the award given to all kids who learned the required info before being discharged. We also spent a lot of time playing computer games and making little lands out of toys and paper. And, we really, really bonded. It’s rare when you have three kids that you get such an extended period of uninterrupted interaction with just one of them. I’ve come to find this one of the many silver linings of a less-than-ideal situation. 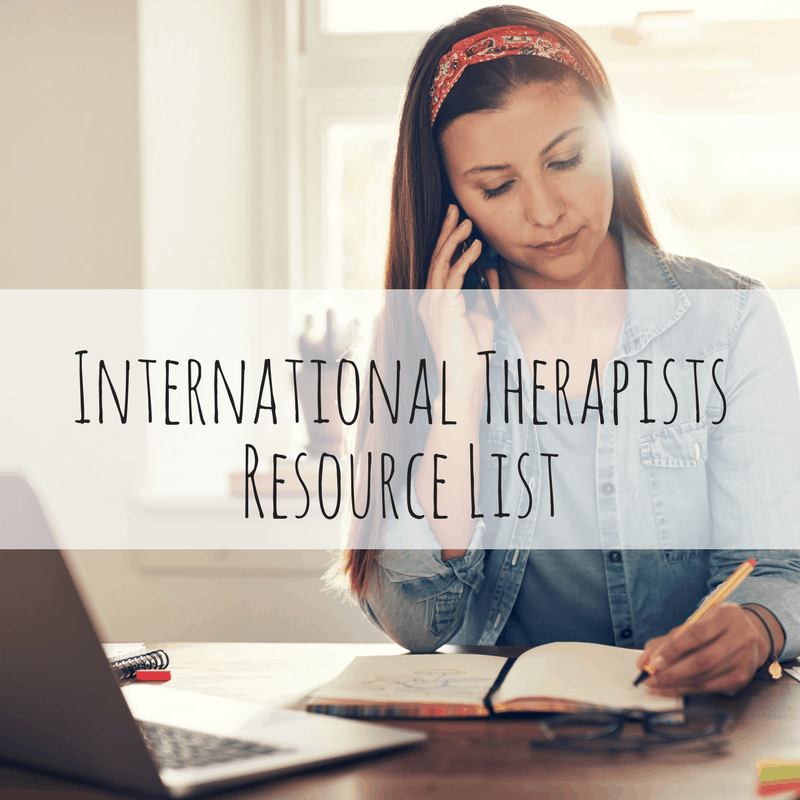 As they started to prepare us for Sam’s discharge, I have to say I felt completely overwhelmed by the sheer volume of stuff I was supposed to be learning. It wasn’t that it didn’t make sense – there’s a lot of math and measuring that goes into managing Type I Diabetes, but I find most of that doable and kind of like a really hands-on extended science project – but it is true that all of this information was coming in through a filter of stress, trauma and sadness for the life we had so suddenly left behind. 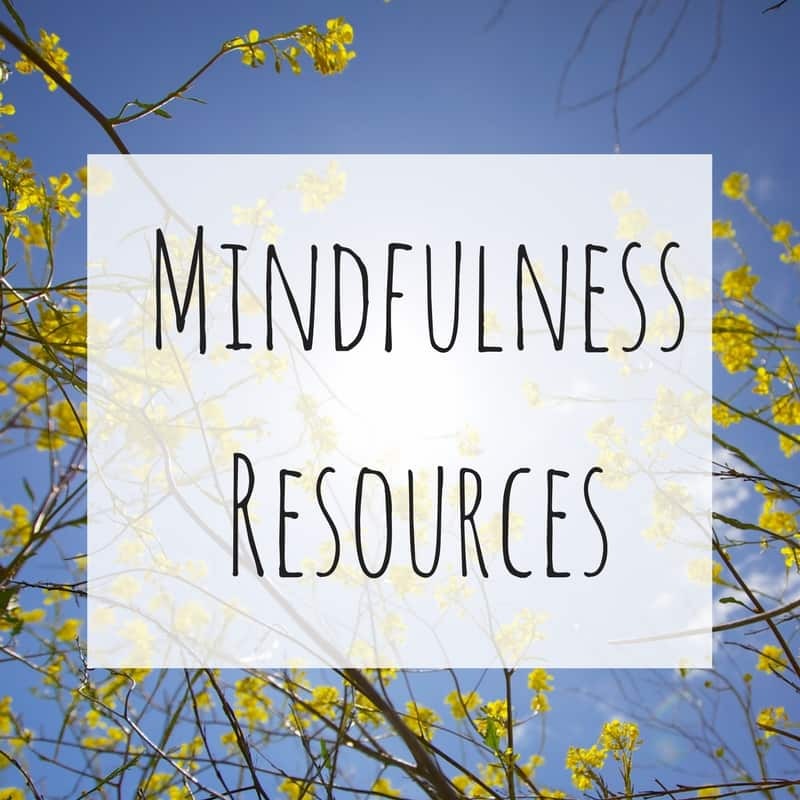 Sam was feeling better, so that helped alleviate some of the deepest stressors, but knowing that so much of his life was now in this delicate balance of the things I had to learn was really overwhelming at times. It felt like cramming for the most important test of your life…only the stakes are more than just red marks on paper. It was during these moments, the moments where I felt like, “There is no way I can do this,” that I found myself surprisingly able to stop, slow down and, frankly, say, “Well, you have no choice.” I remember once asking a friend who is a cancer survivor, “How did you do it? Get through each day, keep moving, without feeling completely overwhelmed?” She said, “You just do it. You have no choice.” While Type I Diabetes is distinct from cancer, there is this thing that kicked in with me – one foot in front of the other. Don’t look back, don’t look too far forward, just look right where you are. I also felt at every moment that the prayers and well wishes of our friends and family were palpable. I honestly felt wrapped-up and connected to every single person I knew that was pulling for us, thinking of Sam and sending up their blessings. I’ve always been a big believer in the power of prayer and meditation. In this case, more than in any other time in my life, I felt sustained and buoyed by that love. And through all of this, Sam just kept on being his smiley self. He missed Daddy and especially his siblings terribly. Every day he would wonder what they were doing and talk about feeling sad he wasn’t there with them. One morning he woke up and the smile on his face faded within in seconds. It was as if he woke up from a dream and realized that all this was real. Tears rolled down his cheeks. “I want J**,” he said. Having these adventures without his big brother, his best friend, was really hard. But, when it came to the diabetes, he just rolled with it. I wonder if this is a potential upside of being diagnosed so young – he’ll soon forget what it was ever like to live without it. It will start to seem more and more normal. By the time they were ready to discharge him, we were both really, really ready to be out on our own. I faced that moment with a combination of relief and dread – relief that we could sleep in comfortable beds and eat more normal food, dread that the calculations and insulin and balancing was going to be up to me. Our three days in the hotel before my husband and the kids arrived ended up being less scary than I thought they would be. We were fortunate to be able to spend each day (or at least part of the day) with friends. It helped to pass the time and left us feeling like we had something to look forward to. We went to the zoo and on a mini-safari. Both our new and old friends in South Africa really looked out for us. It all felt like Sam and Mommy’s special adventure. We became more confident. We developed a system. And, we waited intently for the others to arrive. Truth be told, we got pretty used to our quiet little existence. When my husband and the other kids arrived, it’s like everything went back to our hectic, silly household – with diaper changes and snack times and laundry and Legos. We were so incredibly happy to be back together, but all five of us in a small hotel was exhausting. Getting back to the US, in the end, really couldn’t come soon enough. Finally, just ten days after his diagnosis, we landed back home. But where are we now…really? Well, we’re reminded constantly of why we have so many rituals and routines – we rely on them even more now. We are thinking a lot about the structures we’ve put in place for discipline and bedtime and mealtime and play time. While so much has changed, these things continue apace as they always have. It’s a saving grace really – that and the fact that love and compassion continue to guide us in everything we do. We’ve always told the boys (and now Imogen) that no matter what, we have each other, that if all else fails we go home (to Austin) and that every moment is really just a great big adventure. Sometimes you wonder if you’ll ever really need to live out these messages. Now I can say we’ve put them to the test. And we’re now down to the business of living life as it looks now. We don’t think Sam’s diagnosis will affect our onward assignment. This relieves some of the stress. It doesn’t look like we’ll need to rebid or scramble to find a position in DC. We’ll have a few weeks of separation here and there. We’ll get through it. The Foreign Service has been good for us, individually and as a family. Does having spent the last 5 years wandering the globe make things like this easier? I don’t know. Right now, for our family, I think it does. Five days from now I might change my mind. I don’t really bank on certainty…never have really. But, there are a few things where I feel I can invest my confidence – love, flexibility, a good cry, a good laugh, friends, family…and hugs. Thank you Lexy. It means so much to know we have great people like you all sending best wishes. You really have been through an emotional wringer and throughout sustained a sense of calm for Sam which no doubt helped him take this in his stride. And on the mirror side Jeremy also held it together for J and Imogen. You are strong people with big hearts. Thank you Maura for your kind words! Yes, I have had a couple of those moments – where I think, “Is all this real?” A few good cries have helped. I’m also so blessed with such a great crew of kids and, of course, a wonderful husband. Honestly, with people like that in my life, it’s hard to get too down. Much love to you! And you are too! Thank you for your love and support!